Kindred Spirits is an engaging short story by Rainbow Rowell, author of the bestselling Eleanor & Park, Fangirl and Carry On. Kindred Spirits has been specially produced for World Book Day. If you’re in the mood for a cute and quick contemporary read, I highly recommend Kindred Spirits by Rainbow Rowell. In this short story, I love that Star Wars is the main incentive that brings all of these characters together. I found the story to be so sweet and the characters very realistic. Rainbow has a very unique way of allowing her characters and side characters to shine brightly on the page with smart and witty banter. And if you’re a fan of Star Wars, like me, you will laugh along with the nerdy references and jokes that play between these characters. Because the story is extremely short, I don’t want to give too much away. But I must say even though each characters’ secrets and flaws unravel throughout the pages, the friendships that develop in this story are cute and memorable. Note: I received this book as a “freebie” on World Book Day from my local independent bookstore. All statements and opinions are my own. 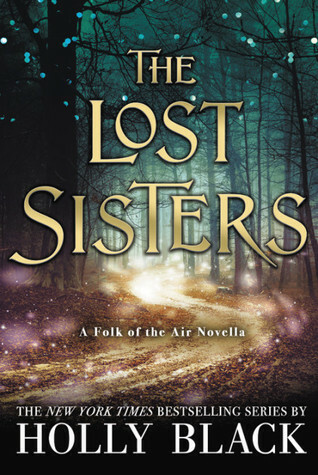 The Lost Sisters is an e-novella that provides Taryn’s , Jude’s twin sister’s, point of view of the events that took place in The Cruel Prince. And you guys, it feels so good to back in Elfhame even if it is through a handful of pages. I enjoyed this short story because we get another person’s perspective of the twisted dynamics that play between Cardan and Jude. And more importantly, we watch and understand the relationship that blooms between Taryn and Locke. UGH, and LOCKE! He is such a weasel. I hope his trickster ways finally catch up to him. I also liked that Taryn puts her heart and soul in this confession to Jude–we begin to understand Taryn’s motivations and heartache. But overall, even with Taryn’s actions explained, I still do not sympathize with her. Taryn, what happened to sisters before misters?! Home fries before fae guys! Taryn, I swear, you need to get it together, because Jude doesn’t take betrayal too lightly! Note: I bought this e-novella with my own funds, and was not asked to review it by the publisher. All statements and opinions are my own. 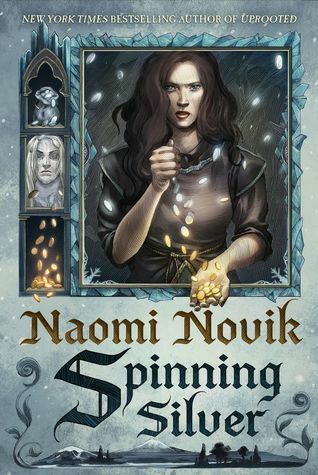 Spinning Silver is the second book I have read by Naomi Novik, and once again I fell in love with her characters and storytelling. You guys, I spent weeks savoring this book because I did not want it to end. Naomi Novik’s gift of writing is enchanting, mesmerizing, and overall, purely a magical experience. Told in multiple points-of-view, Spinning Silver weaves together the fairy-tale features of “Rumpelstiltskin” with a new tale of female empowerment. Multiple characters provide details of their surroundings but their narratives are intricately bounded and immersed into one main story. At times the storytelling can become so complex and dense that you have to pay attention to detail to acknowledge whose point of view you are reading. But overall the pacing is executed so well, which allows the narration to mirror a theatrical experience. In the end, I highly recommend that if you love fantastical fairy-tale retellings, you have to read Spinning Silver. I loved that there are multiple villains in this novel, and both of them are just as sharp and biting as the wintery setting. I admired the idea that romance and relationships are not taken lightly in this book; the fierce female characters make sure that love and respect are earned. Overall, Spinning Silver is a slow-burning fantasy that interweaves rich magic, cunning and bold female protagonists, and antagonists that teeter on being morally gray, and in all honestly, this book was a delectable morsel to read. Note: Thank you to Del Rey and Netgalley for providing me an e-ARC of this book in exchange for an honest review. Although I was provided a galley of the book, my review is of the final published copy of the book. All statements and opinions are my own.